This article is about the city in England. For other uses, see Gloucester (disambiguation). Gloucester (/ˈɡlɒstər/ ( listen)) is a city and district in Gloucestershire, in the South West of England, of which it is the county town. Gloucester lies close to the Welsh border, on the River Severn, between the Cotswolds to the east and the Forest of Dean to the southwest. Gloucester was founded in AD 97 by the Romans under Emperor Nerva as Colonia Glevum Nervensis, and was granted its first charter in 1155 by King Henry II. Economically, the city is dominated by the service industries, and has a strong financial and business sector. Historically it was prominent in the aerospace industry. The origins of the name Gloucester are related to Caerloyw, its name in modern Welsh. The name 'caerloyw' is composed of two parts: caer (meaning fort, stronghold or castle, and whose cognate is the suffix "cester", both deriving from the Latin castrum) and 'loyw', a linguistic mutation of 'gloyw', meaning bright or shining. The name Gloucester thus means roughly "bright fort". There are various appellations of the city's name in history, such as Caer Glow, Gleawecastre, Gleucestre as an early British settlement is not confirmed by direct evidence. However, Gloucester was the Roman municipality of Colonia Nervia Glevensium, or Glevum, built in the reign of Nerva. Parts of the walls can be traced, and a number of remains and coins have been found, though inscriptions are scarce. In Historia Brittonum, a fabled account of the early rulers of Britain, Vortigern's grandfather, Gloiu (Gloyw Wallt Hir in Welsh, meaning "Gloiu Long-hair"), is given as the founder of Gloucester. Part of the foundations of Roman Gloucester can be seen today in Eastgate Street (near Boots), while Roman tombstones and a range of other Roman artefacts can be seen in Gloucester City Museum. After the withdrawal on the Roman Empire in the late 4th Century the town returned to the control of Celtic Dubonni tribe. By the Anglo-Saxon Chronicle, Gloucester is shown as part of Wessex from the Battle of Deorham in 577. At some point after this battle, along with the rest of Gloucestershire excluding the Forest of Dean, Gloucester was part of the minor kingdom of the Hwicce. In 628, as a result of the Battle of Cirencester, the kingdom of the Hwicce became a client or sub-kingdom of Mercia. From about 780, the Hwicce region was no longer a kingdom in its own right and was under full Mercian control until, along with the rest of Mercia, it submitted to Alfred the Great in about 877-883. The name Gloucester derives from the Anglo-Saxon for fort (Old English ceaster) preceded by Celtic name, which derived from the Roman stem Glev- (pronounced glaiw). Claudia Castra is mentioned in the 18th Century as possible Latin name related to the city. Gloucester was captured by the Saxons in 577. Its situation on a navigable river, and the foundation in 681 of the abbey of St Peter by Æthelred, favoured the growth of the town; and before the Norman Conquest of England, Gloucester was a borough governed by a portreeve, with a castle which was frequently a royal residence, and a mint. In the early 10th century the remains of Saint Oswald were brought to a small church in Gloucester, bringing many pilgrims to the town. The core street layout is thought to date back to the reign of Ethelfleda in late Saxon times. In 1051 Edward the Confessor held court at Gloucester and was threatened there by an army led by Godwin, Earl of Wessex, but the incident resulted in a standoff rather than a battle. A unique coin, dated to 1077–80, was discovered, just north of the city, in November 2011. It features the name of the moneyer Silacwine and its place of minting. The Portable Antiquities Scheme said that, until the coin was discovered, there had been no known examples of William I coins minted in Gloucester in this period. After the Norman Conquest, William Rufus made Robert Fitzhamon the first baron or overlord of Gloucester. Fitzhamon had a military base at Cardiff Castle, and for the succeeding years the history of Gloucester was closely linked to that of Cardiff. During the Anarchy, Gloucester was a centre of support for the Empress Matilda who was supported in her claim to the throne by her half-brother, Fitzhamon's grandson, Robert, 1st Earl of Gloucester (also known as Robert of Gloucester). After this period of strife ended with the ascent of her son Henry to the throne Henry II of England, Henry granted Robert possession of Cardiff Castle, and it later passed to Mathilda's son Robert Curthose and his son, William Fitz Robert, 2nd Earl of Gloucester. The story of the Anarchy is vividly told in a series of nineteenth-century paintings by William Burges at the Castle. King Henry II granted Gloucester its first charter in 1155, which gave the burgesses the same liberties as the citizens of London and Winchester. A second charter of Henry II gave them freedom of passage on the River Severn. The first charter was confirmed in 1194 by King Richard I. The privileges of the borough were greatly extended by the charter of King John (1200), which gave freedom from toll throughout the kingdom and from pleading outside the borough. In 1216 King Henry III, aged only ten years, was crowned with a gilded iron ring in the Chapter House of Gloucester Cathedral. Gloucester's significance in the Middle Ages is underlined by the fact that it had a number of monastic establishments, including St Peter's Abbey founded in 679 (later Gloucester Cathedral), the nearby St Oswald's Priory, Gloucester founded in the 880s or 890s, Llanthony Secunda Priory, founded 1136 as a retreat for a community of Welsh monks (now near the western bypass), the Franciscan Greyfriars community founded in 1231 (near Eastgate Shopping Centre), and the Dominican Blackfriars community founded in 1239 (Ladybellegate Street). It also has some very early churches including St Mary de Lode Church, Gloucester near the Cathedral and the Norman St Mary de Crypt Church, Gloucester in Southgate Street. Additionally, there is evidence of a Jewish community Gloucester as early as 1158-1159, who lived around present day East Gate Street and had a synagogue on the north side. In the Middle Ages the main export was wool, which came from the Cotswolds and was processed in Gloucester; other exports included leather and iron (tools and weapons). Gloucester also had a large fishing industry at that time. In 1223, thatched roofs were banned after a massive fire that destroyed part of Gloucester. One of the most significant periods in Gloucester's history began in 1378 when Richard II of England convened Parliament in the city. Parliaments were held there until 1406 under Henry IV of England. The Parliament Rooms at the Cathedral remain as testimony to this important time. Gloucester was incorporated by King Richard III in 1483, the town being made a county in itself. This charter was confirmed in 1489 and 1510, and other charters of incorporation were received by Gloucester from Queen Elizabeth I and King James I. Gloucester was the site of the execution by burning of John Hooper, Bishop of Gloucester in the time of Queen Mary in 1555. In 1580, Gloucester was awarded the status of a port by Queen Elizabeth I. The Siege of Gloucester in 1643 was a battle of the English Civil War in which the besieged parliamentarians emerged victorious. The sixteenth and seventeenth centuries saw the foundation of two of Gloucester's grammar schools: the Crypt School in 1539 and Sir Thomas Rich's School in 1666. Both still flourish as grammar schools today, along with Ribston Hall and Denmark Road High School. Gloucester's most important citizens include Robert Raikes (founder of the Sunday School movement) who is still commemorated by the name of Robert Raikes' House in Southgate Street. Its most infamous citizen was Fred West. In July 2007, Gloucester was hit badly by a flood that struck Gloucestershire and its surrounding areas. Hundreds of homes were flooded, but the event was most memorable because of its wider impact – about 40,000 people were without power for 24 hours, and the entire city (plus surrounding areas) was without piped water for 17 days. In 2009, Gloucester Day was revived as an annual day of celebration of Gloucester's history and culture. The day originally dates from the lifting of the Siege of Gloucester in 1643, during which the city held out against Royalist forces during the First English Civil War. Gloucester is one of the few cities in England distinguished by having two coats of arms. The first consists of three chevrons surrounded by ten roundels. The chevrons come from the arms of the Clare family, who were earls of Gloucester from the 12th to the 14th centuries, while the roundels come from the arms of the Bishop of Worcester, whose bishopric historically encompassed Gloucester. This coat is the older of the two, though it is usually termed the "Commonwealth coat", as it was not officially granted to the city until 1652, during the Commonwealth period. The crest and supporters (lions bearing broadswords and trowels) were also adopted at this time, along with the motto Fides Invicta Triumphat ("unconquered faith triumphs", in reference to the royalist siege withstood by the city in 1643). The second coat, termed the "Tudor coat", was granted in 1538. It features the roses of York and Lancaster, the boar's head of Richard III, a ceremonial sword and cap, and two horseshoes surrounded by nails, to represent Gloucester's historical association with ironworking. Although grants made by Commonwealth heralds were nullified after the Restoration, the Commonwealth coat continued to be used by the city rather than the Tudor coat. 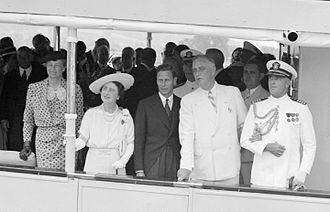 The Commonwealth coat, along with the crest and supporters, was legally granted to the city by letters patent dated 16 April 1945. This was reconfirmed in 1974 following the local government changes of that year. Gloucester is split into 18 wards, with a total of 39 councillors elected to serve on the City Council. Following the last election in 2016 there were 22 Conservative Councillors, 10 Labour Councilors, and 7 Liberal Democrat councillors. The district was formed from the County Borough of Gloucester on 1 April 1974 under the Local Government Act 1972. The parish of Quedgeley was subsequently added in 1991. As of 24 April 2017, Quedgeley is now classed as a town. Gloucester is the county town of Gloucestershire, and is the 53rd largest settlement in the United Kingdom by population. 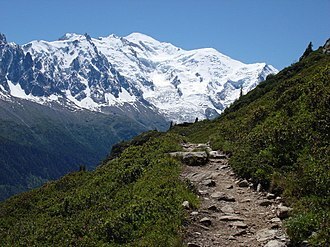 In 2002, its population was 110,600. The 2011 census recorded that the city had a population of 121,921 and by 2016 its population was estimated to be 128,488. The city's urban area extends beyond its boundaries, with several outlying districts. The 2011 census gave the population of the Gloucester Urban Area as 150,053, absorbing areas such as Brockworth and Churchdown. The city is located on the eastern bank of the River Severn, sheltered by the Cotswolds to the east, while the Forest of Dean and the Malvern Hills rise to the west and north, respectively. Gloucester is a port, linked via the Gloucester and Sharpness Canal which runs from Gloucester's docks to the Severn Estuary, allowing larger ships to reach the docks than would be possible on the tidal reaches of the river itself, which go well north of the city to Haw Bridge. The wharfs, warehouses and the docks themselves fell into disrepair until their renovation in the 1980s. They now form a public open space. Some warehouses now house the Gloucester Waterways Museum, others were converted into residential flats, shops and bars. Additionally, the Soldiers of Gloucestershire Museum is located in the Custom House. Next to the museum is Gloucester Yacht Club. The port still houses the most inland RNLI lifeboat in the United Kingdom. Gloucester is made up of a variety of neighbourhoods, some of which correspond to electoral divisions of the City Council. † Quedgeley is the only town within the city's borders. Because of this it has its own town council. 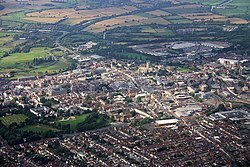 The city itself contains no green belt; however it is bordered to the north east by the green belt in the surrounding Tewkesbury district, helping to maintain local green space, prevent further urban sprawl and unplanned expansion towards Cheltenham and Innsworth, as well as protecting smaller nearby villages such as Churchdown, Badgeworth, Shurdington, and Twigworth. Gloucester Cathedral, in the north of the city near the river, originates in the foundation of an abbey dedicated to Saint Peter in 681. It is the burial place of King Edward II and Walter de Lacy. The cathedral (mainly its cloisters) was used for corridor scenes in the films Harry Potter and the Philosopher's Stone, Harry Potter and the Chamber of Secrets and Harry Potter and the Half Blood Prince. The crypt was used for a scene in Sherlock Christmas special. Attached to the deanery is the Norman prior's chapel. In St Mary's Square outside the Abbey gate, the Bishop of Gloucester, Bishop John Hooper, was martyred under Queen Mary I in 1555. A good number of medieval and Tudor period gabled and half timbered houses survive from earlier periods of Gloucester's history. At the point where the four principal streets intersected stood the Tolsey (town hall), which was replaced by a modern building in 1894. None of the old public buildings are left except for the New Inn in Northgate Street. It is a timbered house, with strong, massive external galleries and courtyards. It was built around 1450 by John Twyning, a monk. Kings Square is at the heart of the city centre and occupies what was once a cattle market and bus station. Officially opened in 1972, it was the centrepiece of a radical redesign of the city, The Jellicoe Plan, which was first proposed in 1961. It stands beside the Debenham's (formerly Bon Marché) store built in the early 1960s. Many of the features of the redevelopment have since been dismantled; the brutalist concrete fountains in the middle of the square have gone and the overhead roadways which linked three multi storey car parks around the centre have been either closed or dismantled. The main bus station received a Civic Trust Award in 1963 but has since been demolished, with a new bus station being constructed on the same site during 2018. In 2012 a £60 million plan was unveiled to revamp the square. In 2014 the prominent Golden Egg restaurant was demolished and a new look public space was created. A prior archaeological dig revealed a Roman house underneath. An indoor market opened in Eastgate Street in 1968, followed by the Eastgate Shopping Centre in 1973. The Kings Walk Shopping Centre was built between 1969 and 1972. The corner of Eastgate Street and Brunswick Road was redeveloped around this time; Roman remains unearthed below street level in 1974 may be seen through a glass observation panel outside the Boots building, which opened in 1980. The HSBC building on the Cross was renovated and a modern extension added to the Westgate Street aspect in 1972 which received a Civic Trust Award. Sainsbury's opened a supermarket in Northgate Street in 1970; it retains its original interior. Opposite, Tesco opened a large two-storey supermarket in June 1976 on the site of a demolished chapel. This is now occupied by Wilkinson's after Tesco moved to Quedgeley in 1984. Asda opened its first store in Gloucester in Bruton Way in 1983. Gloucester Leisure Centre opened on the corner of Eastgate Street and Bruton Way in September 1974 and was redeveloped and rebranded (as "GL1") in August 2002. Gloucester Central railway station was rebuilt in 1977 to serve both the original traffic to that railway station and the services from the closed Gloucester Eastgate railway station (former Midland Railway) which had stood on another site further east along the same road. Opposite the station stands one of the city's largest office blocks, Twyver House, opened in 1968, which houses the regional Land Registry. The main shopping streets were pedestrianised in the late 1980s. The 1966 Heights Plan for Gloucester sought to restrict construction of tall buildings and defend spiritual values by protecting views of Gloucester Cathedral. The tower of Gloucestershire Royal Hospital, started in 1970 and completed in August 1975, can be seen from miles around. In Brunswick Road, a brown concrete tower, which housed classrooms at the Gloucestershire College of Arts and Technology (now moved to a site near Llanthony Bridge). The tower was added incongruously to the existing 1930s Technical College buildings in 1971 which has now been demolished. Clapham Court, a tall block of flats, stands in Columbia Close, between London Road and Kingsholm Road. It was built in 1963 and stands on what was once Columbia Street in a small district formerly known as Clapham. Other features of interest include the museum and school of art and science, the former county jail (on the site of a Saxon and Norman castle), the Shire Hall (now headquarters of the County Council) and the Whitefield memorial church. A park in the south of the city contains a spa, a chalybeate spring having been discovered in 1814. West of this, across the canal, are the remains (a gateway and some walls) of Llanthony Secunda Priory, a cell of the mother abbey in the Vale of Ewyas, Monmouthshire, which in the reign of King Edward IV became the secondary establishment. The Three Choirs Festival, originating in the 18th century and one of the oldest music festivals in the British Isles, is held in Gloucester every third year, the other venues being Hereford and Worcester. Gloucester hosted the festival in 2016, and it is next due in the city in 2019. The city's main theatre and cultural venue is the Guildhall. The Guildhall hosts a huge amount of entertainment, including live music, dance sessions, a cinema, bar, café, art gallery and much more. The Leisure Centre, GL1, hosts concerts and has a larger capacity than the Guildhall. The annual Gloucester International Rhythm and Blues Festival takes place at the end of July and early August. Gloucester International Cajun and Zydeco Festival, the largest in the UK and longest-running in Europe, runs for a weekend in January each year. A Medieval Fayre is held in Westgate Street each year during the summer. Gloucester is also noted as the home of the Frightmare Halloween Festival, the largest Halloween festival in the South West. The main museum in the city is The Museum of Gloucester but there are several other important museums. The Tailor of Gloucester House which is dedicated to the author Beatrix Potter can be found near the cathedral. Since 2013 Gloucester has marked Armed Forces Day with a Drum Head Service held on College Green in the shadow of the cathedral. This is followed by a parade of serving forces, veterans and cadets through the city centre to the docks for a family day with military and military-related charity displays and entertainment in Back Badge Square in front of the Soldiers of Gloucestershire Museum. 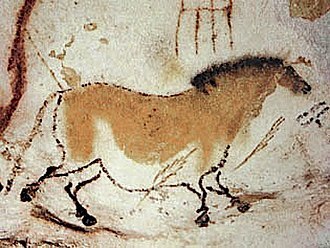 Nature in Art is a gallery dedicated to the display of works of art inspired by the natural world. The city features in the popular, well-known nursery rhyme (of unknown date and origin) about a Doctor Foster, who reportedly visited the city, got wet, and swore to stay away as a result. St Nicholas's Church – founded by the Normans but with many additions since then. In the neighbourhood around St Mary de Crypt there are slight remains of Greyfriars and Blackfriars monasteries, and also of the city wall. Under the Golden Fleece (The Monks Bar) and Saracen's Head inns early vaulted cellars still remains. In addition, in the city is St Peter's Roman Catholic Church, a Grade II* listed building. During the construction of the Boots store on the corner of Brunswick Road and Eastgate Street in 1974, Roman remains were found. These can be seen through a glass case on the street. At the back of the Gloucester Furniture Exhibition Centre part of the city's South Gate can be seen. There are three endowed schools: The King's School, refounded by Henry VIII as part of the cathedral establishment; the school of St Mary de Crypt now known as "The Crypt School, Gloucester" since it moved to a mile from town centre to Podsmead, founded by Dame Joan Cooke in the same reign (1539), Sir Thomas Rich's School, previously known as Sir Thomas Rich's Bluecoat Hospital for Boys (1666); The High School for Girls (1883) ; and Ribston Hall High School for Girls. Comprehensives include Millbrook Academy, Beaufort Co-operative Academy, St Peter's High School (Catholic school), Chosen Hill School, Severn Vale School, Gloucester Academy, Barnwood Park Arts College and Churchdown School Academy. There is a Steiner Waldorf School founded in 1937 with a High School added just after the Second World War. The city is home to a campus of the University of the West of England. Gloucester is served by the M5 motorway, opened in 1971, which runs to the east of the city. Junction 12 serves south Gloucester and Quedgeley. Junction 11a serves central Gloucester and junction 11 serves north Gloucester. The A38 runs north–south through Gloucester connecting the city with Tewkesbury and Bristol. The A40 runs west to east, connecting Gloucester with Cheltenham to the east (via a dual carriageway section known as The Golden Valley Bypass) and the Forest of Dean and Monmouth to the West. The A46 and A4173 links Gloucester and Stroud, and the A417 links Gloucester with Cirencester in the south east and Ledbury in the north west. Gloucester has a number of Cycle Paths. Until the construction of the Severn Bridge in 1966, Gloucester was the lowest bridging point on the river and hence was an important settlement on the route between London and South Wales. The Severn is split into two branches at this point, so the road crosses first onto Alney Island and then onto the western bank. A road bridge on this western side at Over, built by Thomas Telford in 1829, still stands, notable for its very flat arch construction, but its fragility and narrow width means it is no longer used for traffic, and since 1974 it has been paralleled by a modern road bridge. There is a rail crossing, also across Alney Island, which was the lowest on the river until the opening of the Severn Railway Bridge in 1879, followed by the Severn Tunnel in 1886, although following the dismantling of the former in 1970 Gloucester once again has the furthest downstream rail bridge crossing of the Severn. Gloucester railway station has frequent trains to London Paddington, Reading, Bristol, Cardiff Central, Nottingham and Birmingham. Gloucester was the site of the Gloucester Railway Carriage and Wagon Company railway works, which have now closed. Buses are run by Stagecoach West, operating from its depot on London Road. For longer, slower journeys, National Express operate a number of services including the 444 to London and the 222 to Heathrow and Gatwick airports. Hunts Grove railway station is proposed to open on the southern edge of the city near Quedgeley as part of metrowest plans to extend Bristol commuter services to the city. Gloucester is linked to the Severn Estuary by the Gloucester and Sharpness Canal, which is navigable by small coasters. The city is linked to the River Avon and Stourport-on-Severn by the navigable part of the River Severn, which is navigable by river craft of a few hundred tonnes' displacement. Gloucester Docks mark the Normal Tidal Limit (NTL) of the river. Gloucester was formerly linked to Ledbury and Hereford by the Herefordshire and Gloucestershire Canal; and subsequently by the Ledbury and Gloucester Railway, which used the southern section of the former canal, until it also closed in 1964. This canal is now being restored, and the restored canal basin in the Gloucester suburb of Over is a local attraction. The nearest commercial airport with scheduled services is Bristol Airport, around 50 miles to the south. Gloucestershire Airport, located some 8 miles to the east, currently offers no scheduled flights. Gloucestershire Airport in 2017, looking east. On the left is the straight A40 road and at the bottom the M5 motorway. Innsworth and Gloucester are at the top. Gloucester has a long history in the aerospace business. In 1926 the Gloucestershire Aircraft Company at Brockworth changed its name to the Gloster Aircraft Company because international customers claimed that the name "Gloucestershire" was too difficult to spell. A sculpture in the city centre celebrates Gloucester's aviation history and its involvement in the jet engine. Frank Whittle's pioneering turbojet engine powered the Gloster E.28/39, the first British jet aircraft, which first flew at the company's airfield at Brockworth. This is commemorated by the pub "The Whittle" at Gloucester Business Park, which now occupies the site. Roads in the business park are named after other Gloster aircraft and a small statue overlooks the site of the old main runway. Messier-Dowty's landing gear plant and GE Aviation Dowty Propellers plants are on the outskirts of the city. The large insurer Ecclesiastical Insurance is based in the city, as is its owner, the charity Allchurches Trust. Lloyds Banking Group and TSB Bank each have an office in Barnwood, the former previously having been the headquarters of Cheltenham & Gloucester Building Society. Gloucester was the home of Priday, Metford and Company Limited, a family milling firm which survived for over one hundred years, and hydraulic engineering firm Fielding & Platt. Gloucester Business Park is a business park on the outskirts on the city and is home to a number of big brands including Fortis and BAE Systems Applied Intelligence. Gloucester was a host city for the Rugby World Cup in 2015, hosting four matches at Kingsholm Stadium with national teams from Japan, Georgia, USA, Scotland, Tonga and Argentina. Kingsholm Stadium is the ground of Gloucester Rugby, founded in 1873, one of Europe's top rugby union clubs and a member of the Aviva Premiership. Meadow Park was the home of Gloucester City A.F.C., founded in 1883, of the National League South. The club currently plays its matches outside the county at Evesham United due to the 2007 Floods and have effectively been homeless since then. The Gloucester Cricket Festival is held in Gloucester at the King's School. Gloucester City Swimming Club competes in county and national swimming championships. Gloucester City Hockey Club is based at the Oxstalls Sports Park, with teams entered in the West Hockey Leagues. Public sports facilities are focused on the GL1 leisure centre, a large modern sports centre with several swimming pools, a multi-use sports hall, indoor bowls room, squash courts, gym and health spa. The Citizen, published by Local World is Gloucester's main newspaper, which shares all its content with the Gloucestershire Echo and the weekly Forester covering the Forest of Dean and Chepstow. As of 2018, these newspapers have all moved to weekly publication rather than daily. BBC Radio Gloucestershire has its studios on London Road in Gloucester. Heart Gloucestershire, previously Severn Sound, is based in Eastgate Shopping Centre. Gloucester FM is a community radio station specialising in black and urban music. (Sunshine Radio, which broadcasts for Herefordshire and Monmouthshire, can also be picked up in the city). Local radio is broadcast from transmitters on Churchdown Hill (Chosen Hill). For regional television reception Gloucester is covered by BBC West and ITV West. A number of TV and film productions have been filmed in Gloucester; most notably at the cathedral and docks. These include three of the Harry Potter films, Doctor Who, Outlaw and Alice in Wonderland: Through the Looking Glass. According to a Home office report Gloucester had the third highest murder rate in England and Wales between October 2014 and September 2015. Gloucester is twinned with Metz, France, since 1967; Trier, Germany, since 1957; Saint Ann, Jamaica, since 1987; and Gouda, Netherlands, since 1972. Alex Cuthbert (b. 1990), Welsh international, British & Irish Lions rugby player. Button Gwinnett (1735 – 19 May 1777), second signatory of United States Declaration of Independence. David Lawrence (b. 1964), former England cricketer. Fred West (1941–1995) and Rose West (b. 1953) serial killers who tortured, raped and murdered at least 12 young women. Jemmy Wood (1756–1836), legendary miser and owner of the Gloucester Old Bank. ^ UK Census (2011). "Local Area Report – Gloucester Local Authority (1946157375)". Nomis. Office for National Statistics. Retrieved 10 March 2018. ^ "The Economy in Gloucester". Gloucester City Council. Archived from the original on 14 August 2007. Retrieved 20 February 2014. ^ "The Museum". Jet Age Museum. Retrieved 20 February 2014. ^ Nennius (828). 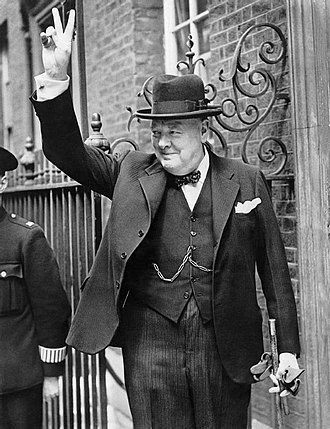 Historia Brittonum. ^ Robert Vermaat (2008). "Gloiu Long-Hair". vortigernstudies.org.uk. ^ Robert Ainsworth. Thesaurus Linguae Latinae Compendiarius:. Mount, 1752 - 802 pages. ^ "Anglo-Saxon Gloucester: c.680 - 1066". british-history.ac.uk. 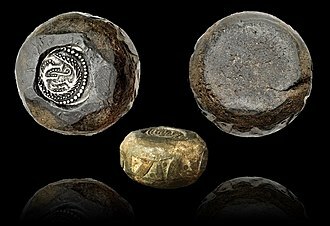 ^ "'Unique' 11th Century coin discovered near Gloucester". BBC Gloucestershire. 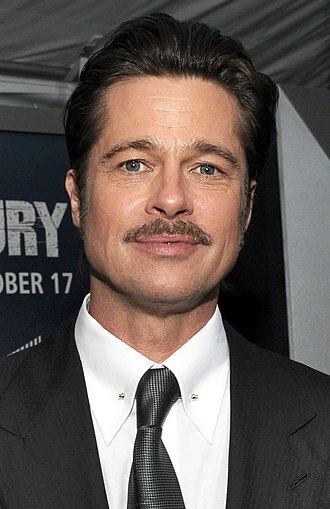 16 February 2012. Retrieved 20 February 2014. ^ "Short History of the City of Gloucester, Gloucestershire". ^ "History of Greyfriars - English Heritage". ^ "Blackfriars Priory". Gloucesterblackfriars.co.uk. Retrieved 5 January 2019. ^ "The Jewish Community of Gloucester". The Museum of the Jewish People at Beit Hatfutsot. Retrieved 3 July 2018. ^ "Point 3 - Gloucester Quay". BBC News. 28 October 2014. Retrieved 30 January 2018. ^ Tradition revived for city pride. BBC News, 5 September 2009. Retrieved 11 September 2011. ^ "Gloucester City Council". Civic Heraldry of England and Wales. ^ N M Herbert (ed.). A History of the County of Gloucester. London: Victoria County History. ^ "Your Councillors". 1 December 2016. ^ a b "What's in a name? Quedgeley Parish Council becomes a town council after conclusive vote". GloucestershireLive. 25 April 2017. Retrieved 26 April 2017. ^ The Citizen (29 January 2014). "Centre for Cities 2014: Gloucester ranked as a great place to live and do business". gloucestershirelive.co.uk. Local World. Retrieved 8 February 2017. ^ "Gloucester (District, Gloucestershire, United Kingdom) - Population Statistics, Charts, Map and Location". www.citypopulation.de. ^ "United Kingdom: Urban Areas in England - Population Statistics, Maps, Charts, Weather and Web Information". www.citypopulation.de. ^ "Potter filming moves to cathedral". BBC Newsround. 7 February 2008. Retrieved 10 April 2008. ^ Historic England. "New Inn (1245714)". National Heritage List for England. Retrieved 27 June 2011. ^ "Kings Square £60m revamp signed by developer". BBC News. 27 September 2012. Retrieved 21 January 2015. ^ "New dawn for King's Square in Gloucester as Golden Egg piazza finally revealed". Gloucester Citizen. 9 April 2014. Retrieved 21 January 2015. ^ "Celebrating 40 years of the Eastgate Shopping Centre". Gloucestershire Live. 4 July 2013. Retrieved 26 August 2016. ^ Verey, David; Brooks, Alan (1970). "The City Centre:3". Gloucestershire:The Vale and the Forest of Dean. p. 487. 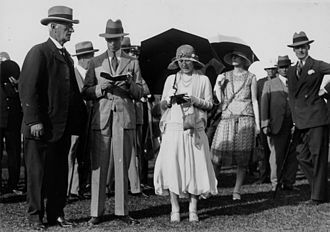 ^ Geoffrey & Susan Jellicoe. "The Landscape of Man", pp356-7. pub. Thames & Hudson, 1975. ^ "Guildhall". Gloucester.gov.uk. 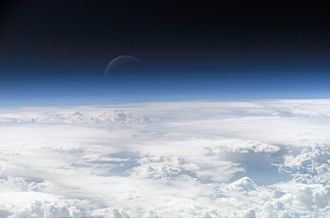 Retrieved 17 July 2010. ^ "Gloucester International Rhythm & Blues Festival 2010". ^ "Gloucester Cajun and Zydeco Festival". Gloucester Guildhall. Archived from the original on 12 February 2014. Retrieved 20 February 2014. ^ "Frightmare at Over Farm". Heart Gloucestershire. Heart. Retrieved 1 November 2015. ^ "Gloucester: Protestant nonconformity | British History Online". 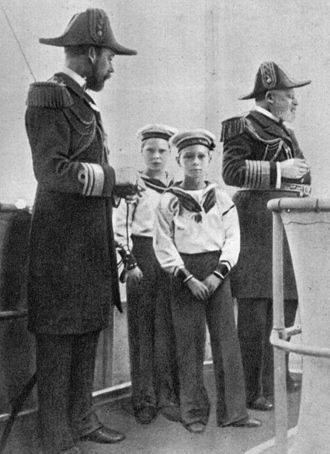 www.british-history.ac.uk. Retrieved 2019-01-28. ^ "Gloucester Campus". University of the West of England. Retrieved 9 September 2017. ^ Charity Commission. Allchurches Trust, registered charity no. 263960. ^ "Occupiers in Gloucester Business Park". Retrieved 3 August 2010. ^ Barnes, Julia (1988). Daily Mirror Greyhound Fact File. Ringpress Books. p. 417. ISBN 0-948955-15-5. ^ "Horton Road". Tiger Roar. ^ "Gloucester City Hockey Club". gloucestercityhc.co.uk. Retrieved 17 October 2014. ^ "Tall ships bring treasure to Gloucester". The Gloucester Citizen. 25 September 2014. Retrieved 25 September 2014. ^ Scott, Patrick (22 January 2016). "Murder capital of the country revealed - but where is your town?". ^ "British towns twinned with French towns". Archant Community Media Ltd. Archived from the original on 5 July 2013. Retrieved 11 July 2013. ^ "Metz Municipal Council" (in French). Retrieved 1 June 2012. Wikimedia Commons has media related to Gloucester. Wikivoyage has a travel guide for Gloucester. The holding of city status gives a settlement no special rights other than that of calling itself a city. Nonetheless, this appellation carries its own prestige and, the status does not apply automatically on the basis of any particular criteria, although in England and Wales it was traditionally given to towns with diocesan cathedrals. 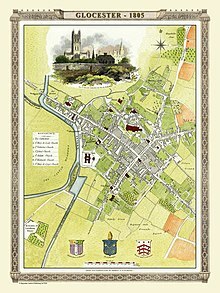 City status in Ireland was granted to far fewer communities than in England and Wales, in Scotland, city status did not explicitly receive any recognition by the state until the 19th century. At that time, a revival of grants of city status took place, first in England, where the grants were accompanied by the establishment of new cathedrals, and in Scotland and Ireland. The abolition of corporate bodies as part of successive local government reforms. However, letters patent have been issued for most of the cities to ensure the continuation or restoration of their status. At present and Elgin are the former cities in the United Kingdom. The name City does not, in itself, denote city status, a number of large towns in the UK are bigger than some small cities, but cannot legitimately call themselves a city without the royal designation. The initial cities of Britain were the fortified settlements organised by the Romans as the capitals of the Celtic tribes under Roman rule, the British clerics of the early Middle Ages preserved a traditional list of the 28 Cities which was mentioned by Gildas and listed by Nennius. In the 16th century, a town was recognised as a city by the English Crown if it had a diocesan cathedral within its limits. This association between having a cathedral and being called a city was established when Henry VIII founded dioceses in six English towns, a long-awaited resumption of creating dioceses began in 1836 with Ripon. Ripon Town Council assumed that this had elevated the town to the rank of a city, the next diocese formed was Manchester and its Borough Council began informally to use the title city. When Queen Victoria visited Manchester in 1851, widespread doubts surrounding its status were raised, the pretension was ended when the borough petitioned for city status, which was granted by letters patent in 1853. Williams claim to the English throne derived from his familial relationship with the childless Anglo-Saxon King Edward the Confessor, who may have encouraged Williams hopes for the throne. Edward died in January 1066 and was succeeded by his brother-in-law Harold Godwinson, within days, William landed in southern England. Harold marched south to confront him, leaving a significant portion of his army in the north, Harolds army confronted Williams invaders on 14 October at the Battle of Hastings, Williams force defeated Harold, who was killed in the engagement. Although Williams main rivals were gone, he faced rebellions over the following years and was not secure on his throne until after 1072. The lands of the resisting English elite were confiscated, some of the elite fled into exile, to control his new kingdom, William granted lands to his followers and built castles commanding military strongpoints throughout the land. More gradual changes affected the classes and village life, the main change appears to have been the formal elimination of slavery. There was little alteration in the structure of government, as the new Norman administrators took over many of the forms of Anglo-Saxon government. In 911 the Carolingian French ruler Charles the Simple allowed a group of Vikings under their leader Rollo to settle in Normandy as part of the Treaty of Saint-Clair-sur-Epte. In exchange for the land, the Norsemen under Rollo were expected to provide protection along the coast against further Viking invaders and their settlement proved successful, and the Vikings in the region became known as the Northmen from which Normandy and Normans are derived. The Normans quickly adopted the culture, renouncing paganism and converting to Christianity. They adopted the langue doïl of their new home and added features from their own Norse language, in 1002 King Æthelred the Unready married Emma of Normandy, the sister of Richard II, Duke of Normandy. 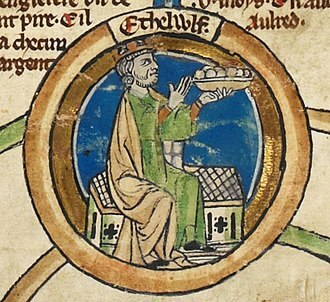 Their son Edward the Confessor, who spent many years in exile in Normandy and embroiled in conflict with the formidable Godwin, Earl of Wessex and his sons, Edward may have encouraged Duke William of Normandys ambitions for the English throne. Vortigern, spelled Vortiger and Vortigen, was possibly a 5th-century warlord in Britain, known perhaps as a king of the Britons. His existence is contested, and information about him is obscure and he may have been the superbus tyrannus said to have invited Hengist and Horsa to aid him in fighting the Picts and the Scots. However, they revolted, killing his son in the process and it is said that he took refuge in North Wales, and that his grave was in Dyfed or the Llŷn Peninsula. He is cited at the beginning of the genealogy of the early Kings of Powys, the 6th century historian Gildas wrote De Excidio et Conquestu Britanniae in the first decades of the 6th century. In Chapter 23, he tells how all the councillors, together with that proud usurper made the mistake of inviting the fierce and impious Saxons to settle in Britain. According to Gildas, apparently, a group came at first and was settled on the eastern side of the island. This small group invited more of their countrymen to join them, eventually the Saxons demanded that their monthly allotments be increased and, when their demands were eventually refused, broke their treaty and plundered the lands of the Romano-British. It is not clear whether Gildas used the name Vortigern, most editions published presently omit the name. 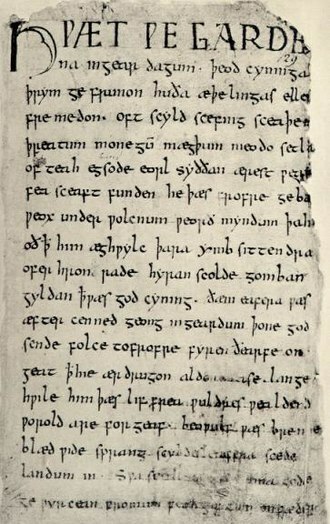 A, refers to Uortigerno, and Mommsens MS, Gildas adds several small details that suggest either he or his source received at least part of the story from the Anglo-Saxons. The first is when he describes the size of the party of Saxons. This may be the earliest recovered word of English, both of these details are unlikely to have been invented by a Roman or Celtic source. Gildas never addresses Vortigern as the king of Britain and he is termed an usurper, but not solely responsible for inviting the Saxons. To the contrary, he is portrayed as being aided by or aiding a Council, Gildas does not consider Vortigern as bad, he just qualifies him as unlucky and lacking judgement, which is understandable, as these mercenaries proved to be faithless. Modern scholars have debated the various details of Gildas story and it is not known whether private individuals imitated this practice. 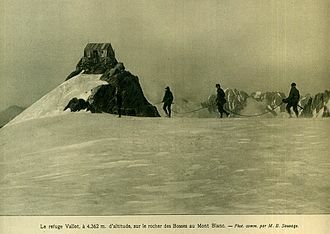 It is not known whether Gildas reference to the side of the island refers to Kent. Mercia was one of the kingdoms of the Anglo-Saxon Heptarchy. The name is a Latinisation of the Old English Mierce or Myrce, the kingdom was centred on the valley of the River Trent and its tributaries, in the region now known as the English Midlands. The kingdoms capital was the town of Tamworth, which was the seat of the Mercian Kings from at least around AD584, when King Creoda built a fortress at the town. The reign of King Offa, who is best remembered for his Dyke that designated the boundary between Mercia and the Welsh kingdoms, is known as the Golden Age of Mercia. Mercia was originally a pagan kingdom, but King Peada converted to Christianity around 656, the Diocese of Mercia was founded in 656, with the first bishop, based at Repton. After only 13 years at Repton, in 669 the fifth bishop, Saint Chad, moved the bishopric to Lichfield, in 691, the Diocese of Mercia became the Diocese of Lichfield. For a brief period between 787 and 799 the diocese was an archbishopric, although it was dissolved in 803. The current bishop, Michael Ipgrave, is the 99th since the diocese was established, at the end of the 9th century, following the invasions of the Vikings and their Great Heathen Army, much of the former Mercian territory was absorbed into the Danelaw. At its height, the Danelaw included London, all of East Anglia, the final Mercian king, Ceolwulf II, died in 879, the kingdom appears to have thereby lost its political independence. Initially, it was ruled by a lord or ealdorman under the overlordship of Alfred the Great, Mercia is still used as a geographic designation, and the name is used by wide range of organisations, including military units, public and voluntary bodies. Mercias exact evolution at the start of the Anglo-Saxon era remains more obscure than that of Northumbria, Mercia developed an effective political structure and adopted Christianity than the other kingdoms. Archaeological surveys show that Angles settled the north of the River Thames by the 6th century. The name Mercia is Old English for boundary folk, and the interpretation is that the kingdom originated along the frontier between the native Welsh and the Anglo-Saxon invaders. The Battle of Deorham was a decisive military encounter between the West Saxons and the Britons of the West Country in 577. The battle, which was a victory for the Wessex forces led by Ceawlin and his son, resulted in the capture of the Brythonic cities of Glevum, Corinium Dobunnorum. It led to the permanent cultural and ethnic separation of Dumnonia from Wales, the Anglo-Saxon Chronicle is the only source that carries a mention of the battle. 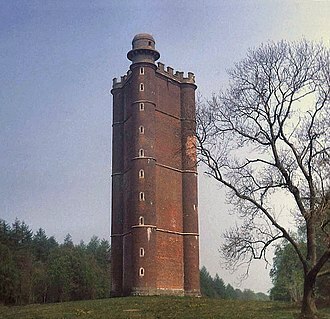 Although it gives few details, it describes it as a major engagement, the location of the Deorham is Hinton Hill near to Dyrham in South Gloucestershire. The Anglo-Saxon Chronicle entry for 577 records that that year King Ceawlin of Wessex and this is generally taken to be Dyrham in what is now South Gloucestershire, on the Cotswolds escarpment a few miles north of Bath. The West Saxons carried the day, and three kings of the Britons, whose names are given as Conmail, and Condidan, and Farinmail, were slain. The Severn Valley has always one of the military keys of Britain. In 577 Ceawlin advanced from the Thames Valley across the Cotswolds to seize the area, once the Saxons were in occupation of the site the Britons of those three towns were compelled to unite and make a combined attempt to dislodge them. Their attempt failed and the three opposing British kings were killed, the military historian Lieutenant-Colonel Alfred Burne, employing his theory of Inherent Military Probability opted for a simpler explanation for the battle than Baddeley. In his view Ceawlin was methodically advancing towards the Severn and the three forces of Britons concentrated to stop him, a last stand in this position would explain why none of the three Briton leaders was able to escape. Archaeological research has found many of the villas in the post-Roman era were still occupied around these cities. This suggests the area was controlled by relatively sophisticated and wealthy Britons, however they were eventually abandoned or destroyed as the territory came under the control of Wessex. The River Severn is the longest river in the United Kingdom, at about 220 miles. It rises at an altitude of 2,001 feet on Plynlimon, close to the Ceredigion/Powys border near Llanidloes and it flows through Shropshire and Gloucestershire, with the county towns of Shrewsbury and Gloucester on its banks. With an average discharge of 107 m3/s at Apperley, the river is usually considered to become the Severn Estuary after the Second Severn Crossing between Severn Beach, South Gloucestershire and Sudbrook, Monmouthshire. The river discharges into the Bristol Channel which in turn discharges into the Celtic Sea, the Severns drainage basin area is 4,409 square miles, excluding the River Wye and Bristol Avon which flow into the Severn Estuary. The major tributaries to the Severn are the Vyrnwy, Teme, the name Severn is thought to derive from a Celtic original name *sabrinnā, of uncertain meaning. That name developed in different languages to become Sabrina to the Romans, Hafren in Welsh, a folk etymology developed, deriving the name from a mythical story of a nymph, who drowned in the river. Sabrina is the goddess of the River Severn in Celtic mythology, the story of Sabrina is featured in Miltons Comus. There is a statue of Sabrina in the Dingle Gardens at the Quarry, Shrewsbury, as the Severn becomes tidal the associated deity changed to Nodens, who was represented mounted on a seahorse, riding on the crest of the Severn bore. The River Stour rises in the north of Worcestershire in the Clent Hills and it flows north into the adjacent West Midlands at Halesowen. It flows westwards through Cradley Heath and Stourbridge where it leaves the Black Country and it is joined by the Smestow Brook at Prestwood before it winds around southwards to Kinver, and flows back into Worcestershire. It passes through Wolverley and Wilden to its confluence with the Severn at Stourport-on-Severn, the River Vyrnwy, which begins at Lake Vyrnwy, flows eastwards through Powys before forming part of the border between England and Wales, joining the Severn near Melverley, Shropshire. The Rea Brook flows north from its source in the Stiperstones, the River Tern, after flowing south from Market Drayton and being joined by the River Meese and the River Roden, meets the Severn at Attingham Park. Wessex was an Anglo-Saxon kingdom in the south of Great Britain, from 519 until England was unified by Æthelstan in the early 10th century. The Anglo-Saxons believed that Wessex was founded by Cerdic and Cynric, the two main sources for the history of Wessex are the Anglo-Saxon Chronicle and the West Saxon Genealogical Regnal List, which sometimes conflict. Wessex became a Christian kingdom after Cenwalh was baptised and was expanded under his rule, cædwalla conquered Sussex and the Isle of Wight. His successor, issued one of the oldest surviving English law codes, the throne subsequently passed to a series of kings with unknown genealogies. During the 8th century, as the hegemony of Mercia grew and it was during this period that the system of shires was established. Under Egbert, Sussex, Kent and Mercia and he obtained the overlordship of the Northumbrian king. However, Mercian independence was restored in 830, during the reign of his successor, Æthelwulf, a Danish army arrived in the Thames estuary, but was decisively defeated. 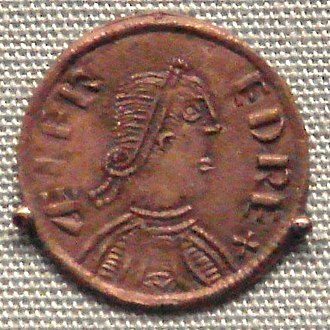 When Æthelwulfs son, Æthelbald, usurped the throne, the kingdom was divided to avoid war, Æthelwulf was succeeded in turn by his four sons, the youngest being Alfred the Great. Wessex was invaded by the Danes in 871, and Alfred was compelled to pay them to leave and they returned in 876, but were forced to withdraw. In 878 they forced Alfred to flee to the Somerset Levels, during his reign Alfred issued a new law code, gathered scholars to his court and was able to devote funds to building ships, organising an army and establishing a system of burhs. Alfreds son, captured the eastern Midlands and East Anglia from the Danes and became ruler of Mercia in 918 upon the death of his sister, Edwards son, Æthelstan, conquered Northumbria in 927, and England became a unified kingdom for the first time. Cnut the Great, who conquered England in 1016, created the wealthy and powerful earldom of Wessex, modern archaeologists use the term Wessex culture for a Middle Bronze Age culture in this area. Although agriculture and hunting were pursued during this period, there is little archaeological evidence of human settlements. 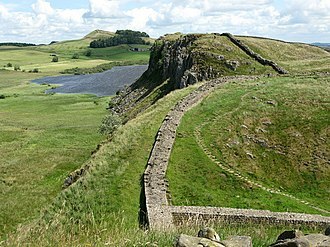 Glevum was a Roman fort in Roman Britain that became a colonia of retired legionaries in AD97. Today, it is known as Gloucester, located in the English county of Gloucestershire, the name Glevum is taken by many present day businesses in the area and by the 26-mile Glevum Way, a long-distance footpath or recreational walk encircling modern Gloucester. Glevum was established around AD48 as a centre at an important crossing of the River Severn and near to the Fosse Way. Initially, there was a Roman fort established at Kingsholm, twenty years later, a larger replacement fortress was built on slightly higher ground nearby, centred on Gloucester Cross, and a civilian settlement grew around it. The Roman Legion based here was the Legio II Augusta as they prepared to invade Roman Wales between 66 and 74 AD, being based at Burrium and Isca Augusta in South Wales, in AD97, the whole area was designated a colonia by the Emperor Nerva. A colonia was the residence of retired legionaries and enjoyed the highest status in the Empire, the legionaries were given farmland in the surrounding district and could be called upon as a Roman auxiliary armed force. A large and impressive administrative basilica and forum market-place was built in the town, Roman Britain was divided into four provinces in the early 4th century. It is most likely that Glevum, as a colony, became the capital of Britannia Secunda, in the same way that colonies at York. There is some evidence that at this time Glevum possessed a mint, at its height, Glevum may have had a population of as many as 10,000 people. Indeed, some of the best Roman villas in Britain, like Chedworth villa, excavations at the New Market Hall showed that Romano-British occupation of the town may have continued in some form into the sub-Roman period, even if the towns population was greatly reduced. A new portal in the wall was made at the beginning of the sixth century, the Anglo-Saxon Chronicle records a King Coinmail, who may have come from Gloucester, taking part in the Battle of Dyrham in 577, when the city was conquered by the Anglo-Saxons. An equestrian statue of the Emperor Nerva was erected at the entrance to Southgate Street in 2002 and it was created by Anthony Stone and paid for by public subscription, following a campaign that started in 1997, the 1900th anniversary of the colonias foundation. Nerva was Roman Emperor from 96 to 98. Nerva became Emperor at the age of sixty-five, after a lifetime of service under Nero. Under Nero, he was a member of the imperial entourage, later, as a loyalist to the Flavians, he attained consulships in 71 and 90 during the reigns of Vespasian and Domitian respectively. On 18 September 96, Domitian was assassinated in a conspiracy involving members of the Praetorian Guard. On the same day, Nerva was declared emperor by the Roman Senate and this was the first time the Senate elected a Roman Emperor. As the new ruler of the Roman Empire, he vowed to restore liberties which had been curtailed during the government of Domitian. Nervas brief reign was marred by difficulties and his inability to assert his authority over the Roman army. 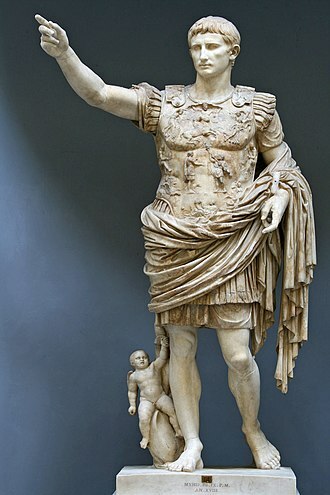 A revolt by the Praetorian Guard in October 97 essentially forced him to adopt an heir, after some deliberation Nerva adopted Trajan, a young and popular general, as his successor. After barely fifteen months in office, Nerva died of natural causes on 27 January 98, upon his death he was succeeded and deified by Trajan. Although much of his life remains obscure, Nerva was considered a wise, Nervas greatest success was his ability to ensure a peaceful transition of power after his death, thus founding the Nerva–Antonine dynasty. Marcus Cocceius Nerva was born in the village of Narni,50 kilometers north of Rome, to the family of Marcus Cocceius Nerva, Suffect Consul in 40, ancient sources report the date as either 30 or 35. He had at least one attested sister, named Cocceia, who married Lucius Salvius Titianus Otho, like Vespasian, the founder of the Flavian dynasty, Nerva was a member of the Italian nobility rather than one of the elite of Rome. Nevertheless, the Cocceii were among the most esteemed and prominent political families of the late Republic and early Empire, the direct ancestors of Nerva on his fathers side, all named Marcus Cocceius Nerva, were associated with imperial circles since the time of Emperor Augustus. His great-grandfather was Consul in 36 BC, and Governor of Asia in the same year, Nervas father, attained the consulship in 40 under emperor Caligula. The Saxons were a group of Germanic tribes first mentioned as living near the North Sea coast of what is now Germany, in the late Roman empire. They were soon mentioned as raiding and settling in many North Sea areas, as well as pushing south inland towards the Franks. Significant numbers settled in parts of Great Britain in the early Middle Ages. Many Saxons however remained in Germania, where they resisted the expanding Frankish Empire through the leadership of the semi-legendary Saxon hero, the Saxons earliest area of settlement is believed to have been Northern Albingia, an area approximately that of modern Holstein. This general area included the probable homeland of the Angles, along with the Angles and other continental Germanic tribes, participated in the Anglo-Saxon settlement of Britain during and after the 5th century. The British-Celtic inhabitants of the isles tended to refer to all of these collectively as Saxons. It is unknown how many Saxons migrated from the Continent to Britain, the Saxons may have derived their name from seax, a kind of knife for which they were known. The seax has a symbolic impact in the English counties of Essex and Middlesex. Their names, along with those of Sussex and Wessex, contain a remnant of the word Saxon. The Elizabethan era play Edmund Ironside suggests the Saxon name derives from the Latin saxa, Their names discover what their natures are, More hard than stones, in the Celtic languages, the words designating English nationality derive from the Latin word Saxones. The most prominent example, a loanword in English, is the Scottish Gaelic Sassenach and it derives from the Scottish Gaelic Sasunnach meaning, Saxon, from the Latin Saxones. Scots- or Scottish English-speakers in the 21st century usually use it as a term for an English person. The Oxford English Dictionary gives 1771 as the date of the earliest written use of the word in English. Sasanach, the Irish word for an Englishman, has the same derivation, as do the words used in Welsh to describe the English people, Cornish terms the English Sawsnek, from the same derivation. They spoke the Common Brittonic language, the ancestor to the modern Brittonic languages. The earliest evidence for the Britons and their language in historical sources dates to the Iron Age, after the Roman conquest of Britain in the 1st century, a Romano-British culture emerged, and Latin and British Vulgar Latin coexisted with Brittonic. During and after the Roman era, the Britons lived throughout Britain south of the Firth of Forth, with the beginning of Anglo-Saxon settlement in the 5th century, the culture and language of the Britons fragmented and much of their territory was taken over by the Anglo-Saxons. The extent to which cultural and linguistic change was accompanied by wholesale changes in the population is still a matter of discussion. During this period some Britons migrated to mainland Europe and established significant settlements in Brittany as well as Britonia in modern Galicia, Common Brittonic developed into the distinct Brittonic languages, Cumbric and Breton. Although none of his own writings remain, writers during the time of the Roman Empire made much reference to them, the group included Ireland, which was referred to as Ierne inhabited by the race of Hiberni, and Britain as insula Albionum, island of the Albions. The term Pritani may have reached Pytheas from the Gauls, who used it as their term for the inhabitants of the islands. The first inhabitants were the Britons, who came from Armenia, the Latin name in the early Roman Empire period was Britanni or Brittanni, following the Roman conquest in AD43. Brittonic languages is a recent coinage intended to refer to the ancient Britons specifically. In English, the term Briton originally denoted the ancient Britons and their descendants, most particularly the Welsh, who were seen as heirs to the ancient British people. After the Acts of Union 1707, the terms British and Briton came to be applied not just to the remaining Brittonic peoples themselves, the Britons spoke an Insular Celtic language known as Common Brittonic. Brittonic was spoken throughout the island of Britain, as well as islands such as the Isle of Man, Scilly Isles, Hebrides. Thus the area today is called Brittany, Common Brittonic developed from the Insular branch of the Proto-Celtic language that developed in the British Isles after arriving from the continent in the 7th century BC. Post marked as the source of the River Severn on Plynlimon, Wales. The wording is in both English and Welsh. Lake at Mallards Pike, frozen during winter. The last remaining columns from the largely blind peristyle surrounding a temple to Minerva, located at the heart of the Forum of Nerva. The visible door frame is not an original element but rather one of the many modifications suffered during the Middle Ages. Roman aureus struck under Trajan, c. 115. The reverse commemorates both Trajan's natural father, Marcus Ulpius Traianus (right) and his adoptive father, the Deified Nerva (left). Reconstructed gateway of a Castrum Stativum at Arbeia (South Shields). Note the battlements, the Roman arches, the turres. Reconstruction of the specula or vigilarium (Germanic burgus), "watchtower", a type of castrum, of Fectio. An ancient watchtower would have been surrounded by wall and ditch. The reconstructed porta praetoria of Castrum Pfünz, Germany, near the Rhaetian Limes. 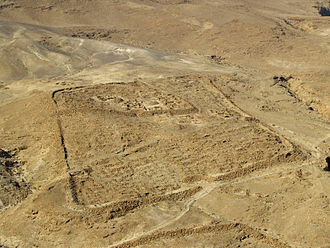 Castrum at Masada. Note the classical "playing-card" layout. Statue in Tamworth of Æthelflæd with her nephew Æthelstan, erected in 1913 to commemorate the millennium of her fortification of the town. Twelfth and thirteenth century arches of St Oswald's Priory, Gloucester, where Æthelflæd and Æthelred were buried. A detail of the first page of the Beowulf manuscript, showing the words "ofer hron rade", translated as "over the whale's road (sea)". It is an example of an Old English stylistic device, the kenning. Until the nineteenth century, city status in England and Wales was associated with the presence of a cathedral, such as York Minster. Birmingham was the first English town without an Anglican cathedral to be granted city status. Birmingham City Council meets at the Council House. Modern statue of Emperor Nerva in Gloucester. Nerva made Glevum a colonia. Not all the gentlemen's seats were as up-to-date as Hampton Court: many-gabled Jacobean Toddington Manor, with the remnant of its moat, its parish church and half-timbered outbuildings contrasted with its fine, brand-new formal garden. Kip's engraving of Chevening published in 1719. Carnyx, a trumpet of an animal-headed shaped of a sacred animal which is used by Celtic Briton during war.